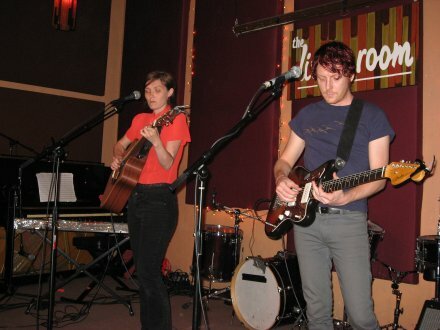 Australia’s Sarah Blasko is playing her last show at the Living Room tonight, if you haven’t had the chance to see her yet, (and you’re not planning on atoning tonight), I recommend you go check her out (don’t worry there will still be plenty of time to get to Union Hall to see The Most Serene Republic). Here’s a shot of Sarah’s first night at Living Room on September 7. You can check out the rest of my pictures on flickr. Previous Post Bling Kong at Glasslands Gallery Tonight!